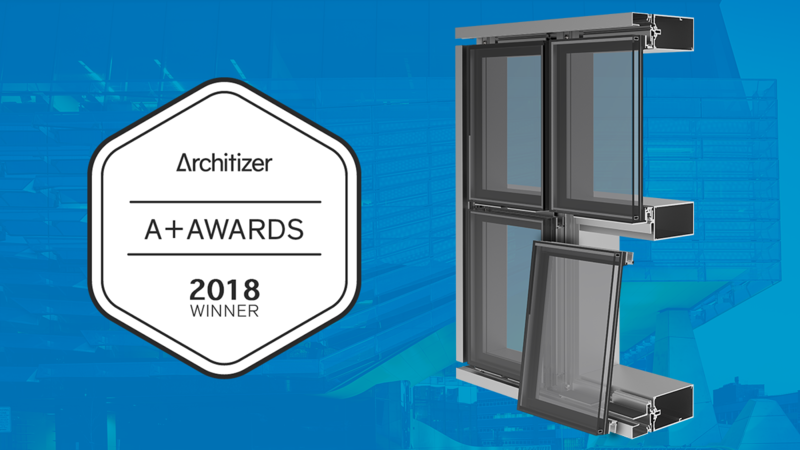 AUSTELL, GA. (July 30, 2018) – YKK AP America Inc. has been named a 2018 Architizer A+Awards Popular Choice Winner for its impact-resistant ProTek® YHC 300 SSG Cassette Curtain Wall, which was recognized in the Glazing Systems and Facades category. The Architizer A+Awards is the largest awards program focused on promoting and celebrating the year’s best architecture and products. Popular Choice winners were selected by the online voting public after a 10 day campaign garnering more than 400,000 votes from over 100 countries. “It is a tremendous honor to be recognized by the Architizer A+Awards. As a first-time recipient, we are thankful to the many members of our industry who took the time to place their vote for our unique curtain wall system,” said Mike Turner, senior vice president of marketing for YKK AP America Inc. The YHC 300 SSG (Structural Silicone Glazed) Cassette is one of the industry’s strongest, most versatile curtain wall systems built to protect against blasts and hurricane conditions. Its capabilities go beyond that of traditional curtain wall systems with a four-sided SSG design to provide architects with a modern, clean aesthetic and maximum design versatility – with virtually no sightline from the building’s exterior. Cassettes are pre-glazed in the shop, then inserted directly into the curtain wall system with an efficient attachment method to minimize field labor and speed up dry-in of the building. Because the cassettes are pre-glazed in a shop environment, the YHC 300 SSG Cassette provides the contractor with a high level of quality assurance in the application of the structural silicone. Design attributes also include a horizontal stack joint for multi-span applications to provide for maximum design versatility. To learn more about YKK AP America’s commercial facade systems and residential doors and windows, go to www.ykkap.com. For more information on the 2018 Architizer A+ Awards, go to https://awards.architizer.com/winners-gallery/.